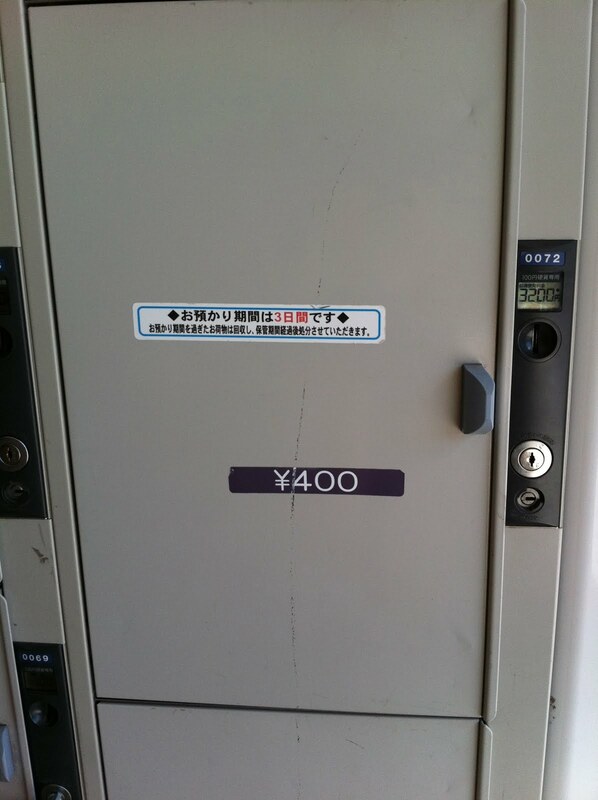 Coin lockers have a life of their own in Japan. A relative rarity in the U.S., they are common fixtures at train stations from Hokkaido to Kyushu. Aside from their day job of providing temporary storage for small parcels, spare coats and unneeded umbrellas, many function like that extra closet you wish you had. 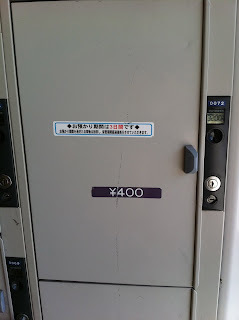 I had heard about people who use coin lockers to stow their goods on a permanent basis. Apartments, and even houses, in Japan can be so small that many people are unable to store all of their possessions in one place and often distribute the overflow among their parents' home, their friend's garage and a multitude of rental options. Though some spring for a room at a bona fide storage facility (of which there are many, even in the heart of the city), others make do with a coin locker or two. I had not observed this practice with my own eyes until the other day when I had to venture out into the sticks to do an interview. While waiting for my subject to swing by the station to pick me up in his silver roadster, I chanced upon this bank of lockers. Affixed to the locker door is a little notice asking renters to use the locker for no more than three days. Payment seems to take place at the time of retrieval. Please note that this person has already racked up a tab of Y3200 -- at Y400 a day, that's 8 days and a whole lot of Y100 coins! I wonder what they've got squirreled away in there ... dirty laundry, rock collection, a musical instrument??? The possibilities are endless.